Margaritas are, without a doubt, one of the most iconic and beloved drinks of all time. Whether you like yours on the rocks or frozen, made with traditional lime or flavored, in a small cup or a giant fishbowl, a great margarita can make-or-break a Mexican restaurant. 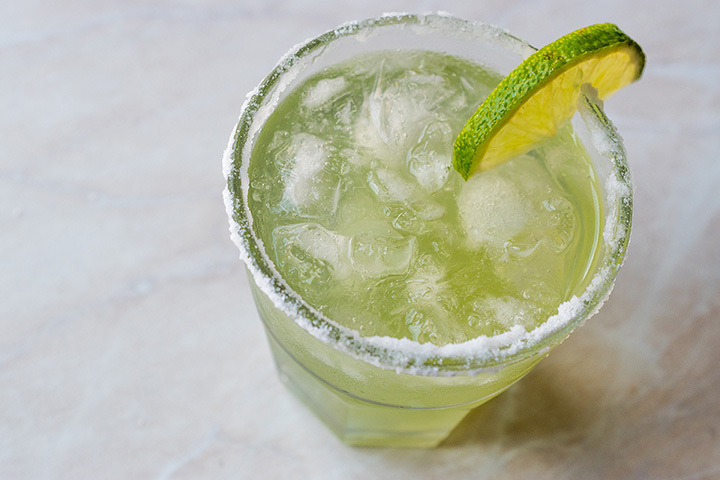 Skip the exploratory phase of finding your next favorite margarita spot by checking out any of the following 10 best margarita places in Kansas. K-Macho’s has two locations, including one in Olathe and another in Overland Park. They’re known for their seven authentic margaritas, including their three signature versions of house margarita, flavored margarita, and top shelf margaritas. Choose between a 12-ounce or 20-ounce and over 20 tequilas. La Casita Salina in Salina, Kansas offers tasty Mexican food and delicious margaritas. They’re open for breakfast, lunch and dinner. The margaritas include a La Casita Margarita, an El Grande Margarita, and Azul Margarita on the rocks made with blue Curacao and extra tequila. Choose between five different flavors and sizes of 16-25 ounces. Dos Reales Authentic Mexican Restaurant brings fantastic Mexican cuisine to Shawnee, Kansas. Referred to in a recent review as a “strip center gem,” no meal at Dos Reales is complete without one of their delicious margaritas. Margarita’s Jalisco in Topeka, Kansas’s drink menu is straight-forward, but that isn’t a bad thing in this case. Choose between lime, strawberry, or pina colada margaritas in 16 ounce or jumbo 27 ounce. Think you can take down a whole 27-ounce margarita? Prove it here. Margarita’s Cantina in Wichita, Kansas has a fantastic $3 house margarita deal. Even if they didn’t have the discount, the margaritas are worth it on their own. Their selection of margaritas includes a house margarita, Cuervo, Texas, grand gold, and top shelf options in small and large. Mi Ranchito has seven locations across Kansas, including four in Overland Park, one in Lenexa, another in Gladstone and one in Lawrence. The food is a step up from your average Mexican joint, but their margaritas are our favorite reason to stop in. Check out their social media page for pop-up promotions, including Margarita Mondays and Thirsty Thursday discounts. Tequila Harry’s in Overland Park offers traditional Mexican food such as fajitas, tacos, and enchiladas, as well as drink specials every day. They’ve been an Overland Park fixture for over thirty years and continue to serve up fantastic margaritas. No matter where you find yourself in Kansas, you’re not far from a Jose Pepper’s. Jose Pepper’s has locations across Kansas, including in Wichita, Topeka, Shawnee, Overland Park, Mission, and more. They offer five margarita options, including a two for $8 premium house margarita, fruit margaritas, signature, anniversary, and a skinny version. Tampico offers “the flavor of Mexico” to Leavenworth, Kansas, as their slogan goes. Margarita enthusiasts will love their house margarita “two-for-one” all day, everyday deal for $7. Get them on the rocks or frozen and add a flavor for $.75. Cancun Mexican Grill has two locations, one in Hays and another in Ellis, Kansas. The menu only has three margaritas, including the usual lime, a strawberry option, and a peach margarita. Despite the fewer options, each are delicious enough to land Cancun Mexican Grill a spot on our favorite list.